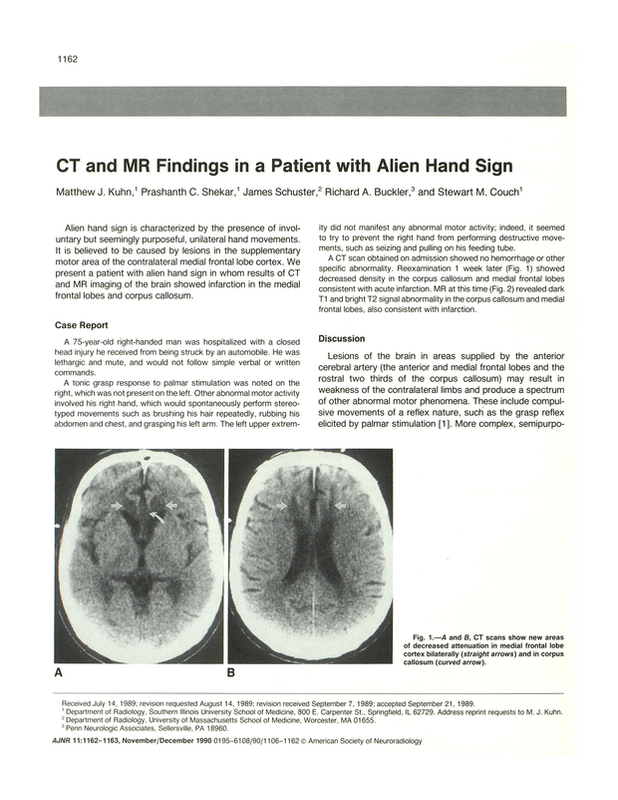 CT and MR findings in a patient with alien hand sign. Department of Radiology, Southern Illinois University School of Medicine, Springfield 62729. You are going to email the following CT and MR findings in a patient with alien hand sign.